There’s recent scientific evidence that tea does in fact provide a variety of health benefits. 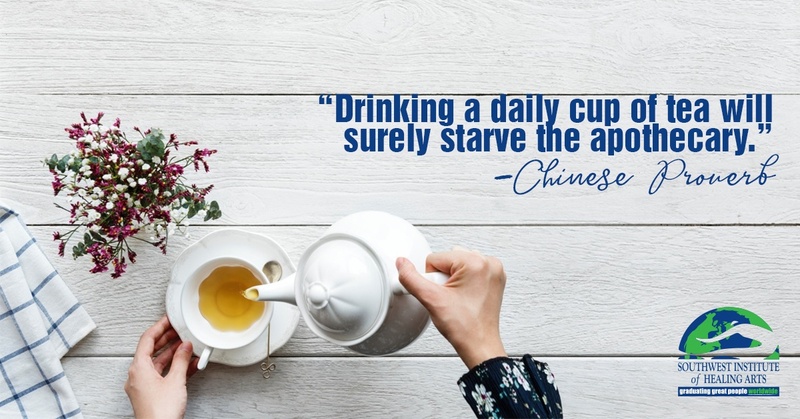 The Antioxidants Research Laboratory at the Jean Mayer USDA Human Nutrition Research Center on Aging have been studying the benefits of various teas, and concluded that their findings are compelling enough to continue clinical studies. 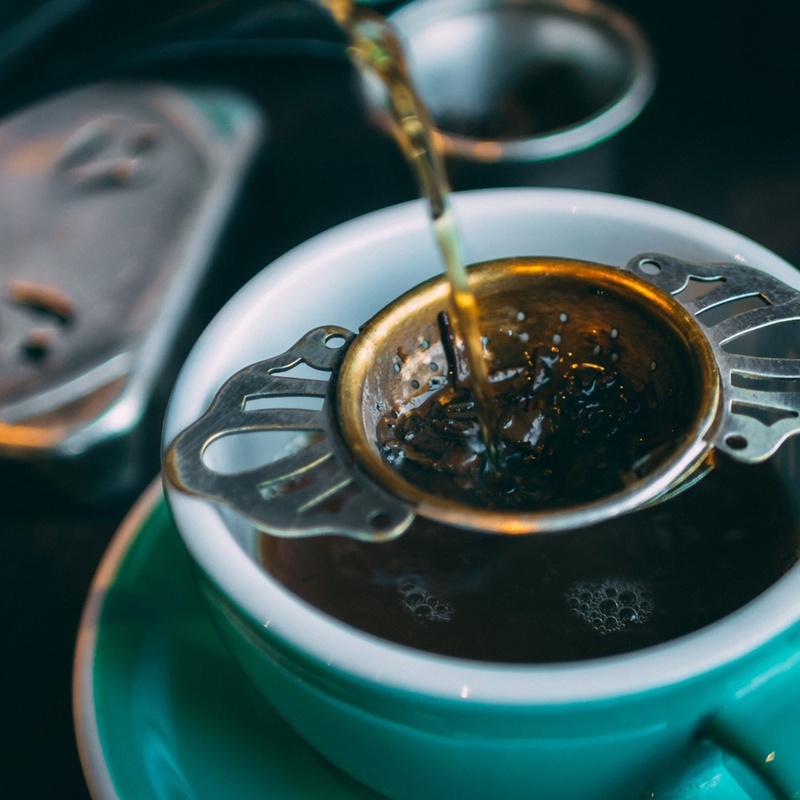 Today we’ll explore some popular teas, as well as how to incorporate a ‘tea time’ ritual in to your day. 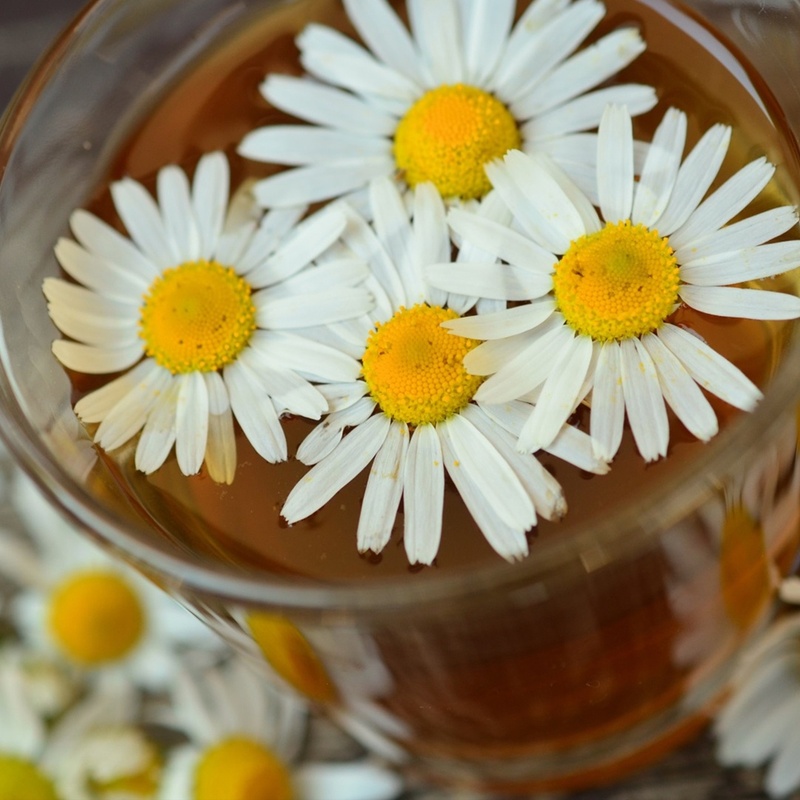 This floral tea comes from the daisy-like flowers of the Asteraceae family. This caffeine-free tea has been consumed for centuries and treasured for its anti-inflammatory abilities and calming properties. It’s loaded with the antioxidant apigenin, which binds to certain receptors in your brain to encourage sleepiness. This fragrant, spicy Indian tea is a combination of black tea, ginger and various spices like cloves, cinnamon and coriander, which are then brewed in milk and water. It was originally created as an Ayurvedic drink for balancing all three doshas, and the polyhenols present in the tea help calm and revitalize the body. Matcha is a Japanese ceremonial green tea made from young tea leaves ground in to a bright, green powder and whisked with hot water. The plants used to make matcha are grown in shaded areas, increasing the chlorophyll content in the leaves. 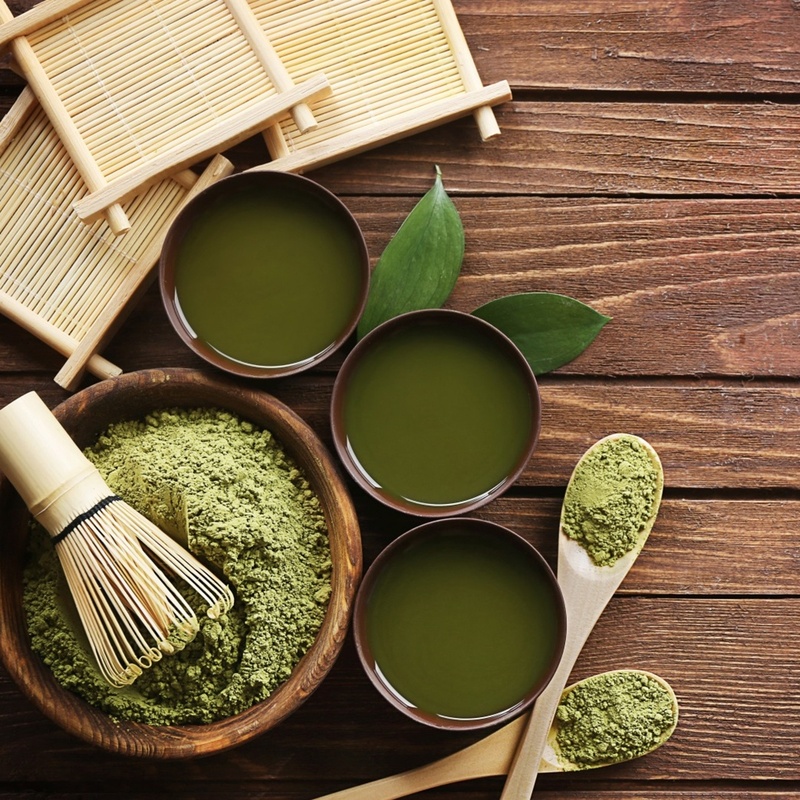 Matcha contains a large amount of epigallocatechin gallate (or EGCG), which is a powerful antioxidant thought to have cancer-fighting qualities. Oolong is one of the most complex teas to produce, made from the oxidized leaves, buds and stems of the Cemellia sinensis plant (the same tree our emperor friend found shade under!). Meant to be full-bodied and aromatic, the leaves for oolong tea must be picked at their precise peak and processed immediately. A quality oolong tea can be steeped multiple times, with each cup revealing a new layer of flavor, and contains many vitamins, minerals, polyphenols and amino acids. From Japanese tea ceremonies to British afternoon tea, rituals surrounding tea have been a part of world cultures for many, many centuries. Drinking tea can be more than act; you can actually integrate it in to a mindfulness practice. 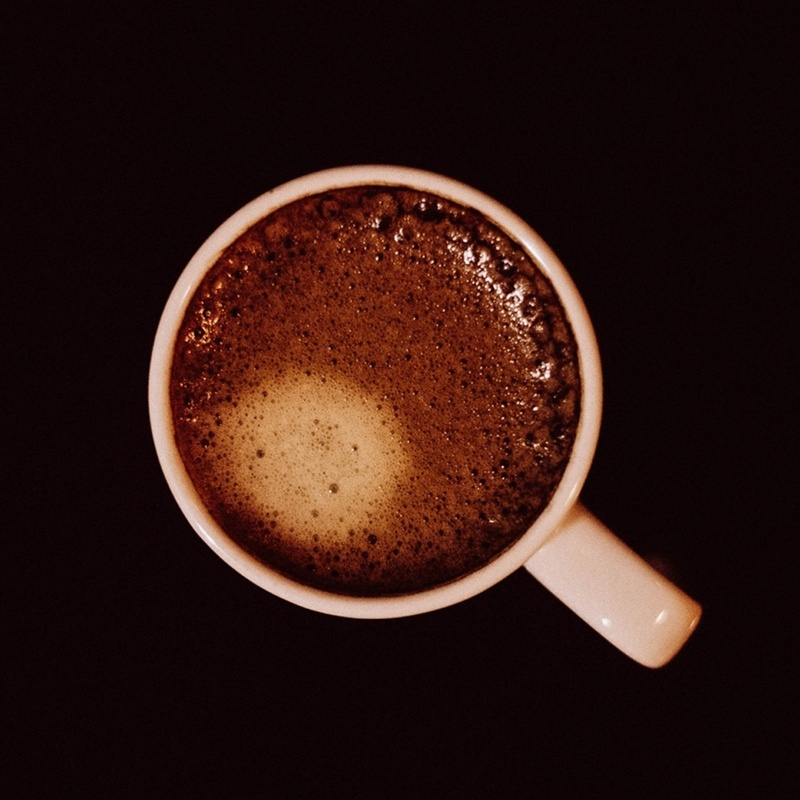 Studies have shown that rituals and traditions have a positive impact on our emotional lives, so incorporating a ceremonial aspect to this beneficial beverage is truly treating mind, body and spirit. Set aside the time. Maybe it’s fifteen minutes or maybe it’s forty-five; whatever you can spare, take it for yourself unapologetically. One of the most sacred aspects of tea is the time it takes to brew—there is no way to speed up the process. As your tea brews, say a prayer, recite a poem or visualize your intentions for this moment. As you drink your tea, do something that makes you happy. Curl up with a book, color a picture, write in a journal or listen to your favorite music. Whatever feels good for you, do that! To close, thank yourself for allowing the space to enjoy your tea and nourish your body and soul. If you’re interested in learning more about the medicinal qualities of tea and other plant-based remedies, consider SWIHA’s Western Herbalism program. SWIHA Western Herbalism graduates are working as herbal remedy producers, guides for plant exploration hikes, teachers of herbal agriculture, herbal foods chefs, working for naturopathic doctors, writing research papers and journal articles, and are creating educational organizations centered around herbal wisdom. Be part of the movement of healing with holistic plant remedies.